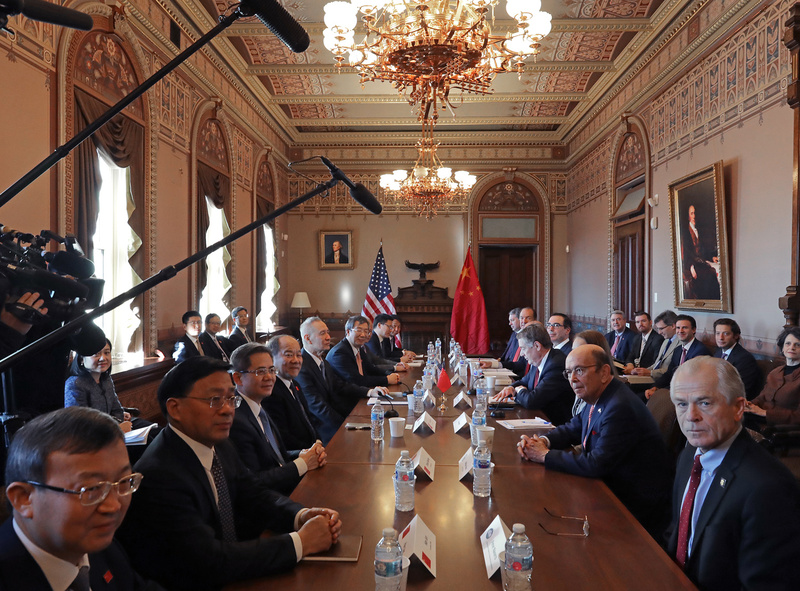 Top trade officials of the U.S. and China in the Diplomatic Room at the Eisenhower Executive Office Building in Washington, D.C., January 30, 2019. Thornton says the firm Cold War era rationale for U.S.-China engagement collapsed following the breakup of the Soviet Union. Since then, successive U.S. administrations have struggled to put forward an enduring foundation for bilateral ties. She highlights the 2008 financial crisis as a key breaking point in the relationship, after which Beijing increasingly questioned U.S. global leadership. China has yet to concretely outline its own vision for the international system, Thornton argues, and the United States should take immediate steps to reform and preserve the current global order. Thornton contends that Washington and Beijing should quickly agree on an initial trade agreement that ensures China’s further reform and opening. If the trade war were to morph into a technology war soon after its resolution, it would only cement China’s fears that the United States is trying to undermine and contain it. On North Korea, Thornton urges the Trump administration to make every last effort to continue diplomacy despite the fact that future negotiations will be more difficult due to Kim Jong-un’s apparent unwillingness to give up his nuclear deterrent. Thornton points to Taiwan and the South China Sea as regional security issues that have receded to the background of the bilateral relationship. She advocates for the Trump administration to maintain regular dialogues and working-level discussions to ensure the appropriate crisis management mechanisms are in place in the event of a crisis.